The knowledge of mucosa-associated molecular events that occur during infections is scarce despite the well-established importance of mucus in fish immunity. 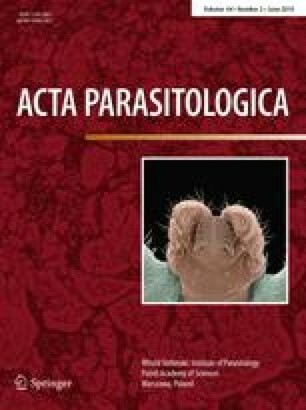 Using qRT-PCR, we analyzed the immune gene expression patterns in mucus of Labeo rohita experimentally infected with an ectoparasite Argulus siamensis. Mucus samples were collected at 0 h, 12 h, 24 h, 3 d, 7 d, 15 d, and 30 d post challenge of L. rohita with metanauplii of A. siamensis. All interleukins studied herein (IL 6, IL 15, and IL 1β) showed significant upregulation of expression levels in mucus of A. siamensis-infected fish compared to control samples. Further, the expression levels of molecules involved in pathogen recognition, toll like receptor 22, and pathogen presentation, β2 microglobulin, were found to be significantly upregulated in experimental samples until 7 d post challenge compared to control samples. The upregulated expression of lysozyme G at all time points post infection indicated the early activation of acute phase responses in mucus of infected L. rohita. Moreover, the expression levels of natural killer cell enhancing factor B were found to be higher in infected fish than they were in the control fish. The early upregulation of the immune genes observed herein reinforces the role of mucus as the first line of defense against pathogenic assault; furthermore, it expands our understanding of mucosal-immune responses to A. siamensis infection, which can aid development of immunological interventions.